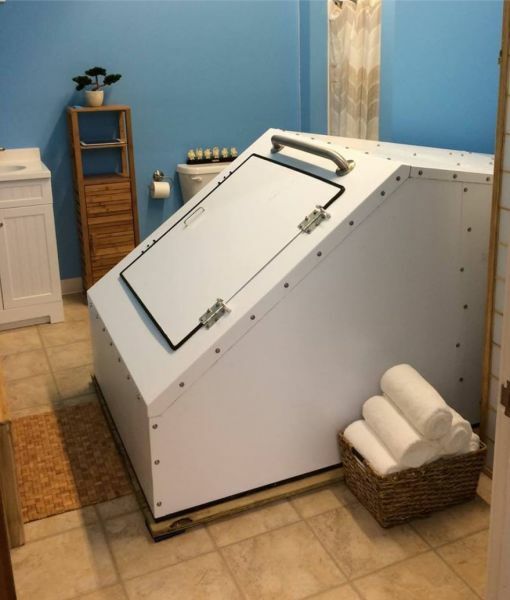 First float therapy tank in Southeastern Massachusetts. Floating in a sensory deprivation tank can have many physical and mental benefits. Try using an isolation tank for meditation or physical recovery of aches and pains. If you happen to be in the area of Bridgewater, Taunton, or Raynham. Then stop by Lakeville for a float. Full amenities in one room. Book now. 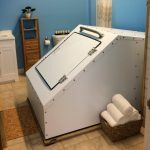 Evenfloat offers sensory deprivation / float tank therapy in the Lakeville, Massachusetts area. They will help you get the most from your float tank experience. Contact Evenfloat now to schedule a float. Are you considering trying floating in Lakeville? Evenfloat has a float tank available for your use. Come try out floating in a sensory deprivation tank to see and experience the benefits of floating for yourself. Call Evenfloat at 7743204222 or stop by to set up your first float in Lakeville. This entry was posted in Massachusetts by Rich. Bookmark the permalink.